February isn’t the best for planting where I live. It’s probably the hottest month of the year. Everything I tried to plant in January didn’t survive. My herbs in pots are barely hanging on. It’s really only the established herbs and plants that have survived and thrived this year. So we are sticking to the hardy stuff for February. 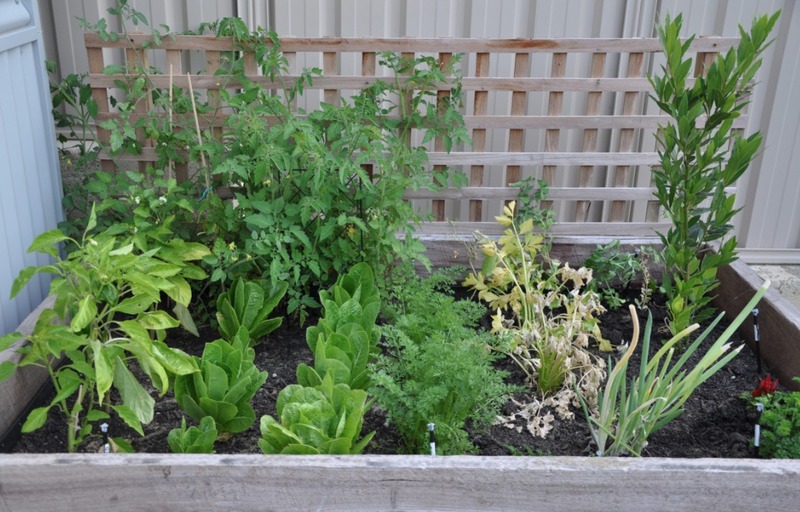 The above picture is my veggie patch before we had kids and struggled to find the time to maintain it. It was so much fun to have our own produce, so trying very hard to get back outside and making time for it. – Choose the hottest position in your garden, as chilli’s do not like the cool. – Water 2-3 times a week until established. – Worm castings will help these fiery plants grow too. – Great for pots too! – Mostly excited about this one, because I think it will be really rewarding! – They say to buy organic garlic from your nursery, instead of using the supermarket bulbs that are sprouting roots in your pantry as they can bring disease to your garden. – Break the cloves and sow them facing upwards and water 3 times a week until established. – If you have seed heads developing constantly, harvest them all, it’s time for pesto!! – Remove the seed heads from the rest of your herbs, or if they are growing in abundance too, it’s time to harvest them all as well. You can keep them dried in your pantry – supposedly bay leaves keep away pantry bugs, or you can go all Jamie Oliver and put them into ice cube trays with some olive oil, keep in the freezer and have instant flavour hits into your saucepan. Obviously there are heaps of other things you can be growing, and lots of edible fruits and vegies that you can be harvesting. However, this is all I’m growing and I currently have nothing but basil and herbs to harvest. So hopefully next year we will have a garden full of potato’s and corn at this time of year that I can whipping up in the kitchen. If you are keen on this too, follow the blog to get these monthly posts and grow your garden with me!